I was a long time Sonar user. I'd started out with PT back in the bad old days before they got their sh+t together with midi integration, but I moved to Sonar simply because they handled that particular facet of production better at that time. As I grew accustomed to Sonar's worklow, I just stayed with it, out of convenience and familiarity more than anything else. About a year ago, a friend of mine - an engineer whom I respect very much, and who I have worked with for quite awhile - recommended that I try Samplitude. So, I downoaded the 30 day trial, opened it, and then immediately forgot about it because it seemed to be so bloated, and the learning curve seemed far too steep for me, and I had clients in the middle of projects that I couldn't risk putting into downtime or into a foreign environment. So, out of familiarity, I went back to Sonar. A few weeks later, my friend talked me into trying it again; and because he seemed so interested in getting me to use it, I tried the program with about 8 days left on the trial period. I finally got familiar enough with it to recording some tracks .... and I had a "wow" moment. There was more clarity, more truth, more acuracy, than what I'd grown used to while using Sonar. It was if someone had cleaned my audio perception window with a "sonic windex". Audio had far more clarity and transparency than anything I'd heard in Sonar. I decided to do my own comparison, and while certainly not scientific, I was amazed at the difference(s) between how each platform handled the audio. In comparison, Sonar sounded "smeared" and "phasey" to me, while Samp had transparency and truth. I took it one step further and imported files I'd recorded in Sonar and imported them into Samp. These files - unprocessed, dry, raw - sounded entirely different when played in Samp. Again, the best description I can give is clarity; total transparency and accuracy in the sonics. I then recorded some tracks in Samp and imported them into Sonar, at which point the "smearing" and "phasiness" once again became evident. I don't work for Samp. Neither does my friend who turned me onto the program. And in fact, it could be accurately said that I actually went into Samplitude pretty much kicking and screaming. Over time, I came across a few other peers who had also made the switch from other platforms to Samp, and they told me that they had also experienced a dramatic difference in the audio between Samplitude and the other platforms they had been using ( one former PT user, two former Sonar users - other than myself ) ... and I began to realize that it wasn't just me. Prior to switching, I was one of those people who insisted that all DAW platforms sounded the same. It was with a great amount of humility that I had to alter that stance - and admit to others whom I had so vehemtly proclamed this to in the past - that I had been wrong. So... Scientific? Hardly. Power of suggestion? Doubtful, as I was actually looking to dispell notions that Samplitude (or any DAW platform) would sound better than any other. I can only go by what my ears tell me, and they told me that Samplitude has far greater transparency and accuracy in its audio playback than Sonar does. I can't comment on a comparison to PT; as I never ingested the " Use Avid or Use Nothing" Kool-Aide that so many of my peers seem to so wilfully consume, but one of my peers has told me that he feels that Samp sounds better than PT does. He keeps PT around for those clients who insist upon its use, but when he works on his own projects, he uses Samp. The basic premise for me is, I don't need to prove anything to anyone else, one way or another. I simply need to prove it to myself. And I've determined that Samplitude sounds much better ( to me ) than Sonar does. I couldn't agree more. To this day, I *feel* Samplitude has a much-better "default" sound than Reason, Studio One and Reaper (the other DAWs I have used extensively). Like you, I can't prove it and I'm perfectly comfortable with the possibility it's purely psychological. 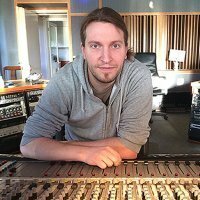 Regarding the sound, Titus Tost (Samplitude Developer) gives us the best hint as to why it sounds so damn good: "Especially with small waves in the area of the zero crossing, as you switch from the negative to positive, there are some problems with rounding. It takes a lot of experience to put this together so that it sounds good." This is from a SOS review of Samplitude April 2012. While I do understand - and agree with you - that the use of plugs can bring on latency, when I did my own listening tests between the platforms, I didn't use any processing at all. These were identical, raw, flat, unprocessed 44/24 .wav files, all recorded with the exact same preamp/converter. The most noticeable "smearing" that I heard was on vocals, acoustic guitar and cymbals. On the vocals, S's were the most noticeable, almost as if I had inserted a cheap de-esser (I hadn't ) to try to tame sibilance when there wasn't any to begin with. Cymbals sounded "phasey" and " swirly" on the decays. Acoustic guitar lacked clarity and definition, and it almost had the sonic signature of having a cheap tube pre plug on it... it was colored, but not in a good way... it was muddy, lacked clarity. Sonar was the worst offender, but there were issues in PT as well, just not quite as noticeable. None of the above was present while playing these track back in Samplitude. All the tracks played back as they were recorded - clear, clean, transparent. I'm not trying to convince anyone of anything here. I'm just giving my personal observations based on my own tests. I think it's also important for me to state that I'm not against the use of processor or FX plugs, either. I use them often, as long as I have a reason to use them - meaning that I don't just randomly throw up a bunch of plugs on miscellaneous tracks just because I have them. And, I couldn't agree more that these test were anything but scientific. But in the end, it's what we hear that counts, far more than what numbers or specs claim; or at least that's what I think, anyway. I don't like repeating that here then but I've done the same test as part of my final uni project, including Protools on PC, Pt HD on Mac, Samplitude, Logic, Cubase...apart from dither they all nulled in phase tests. That was a multitrack mix with over 20 channels. No plugins though. With plugins the story changes. The rest is matching settings. The most noticeable "smearing" that I heard was on vocals, acoustic guitar and cymbals. On the vocals, S's were the most noticeable, almost as if I had inserted a cheap de-esser (I hadn't ) to try to tame sibilance when there wasn't any to begin with. Cymbals sounded "phasey" and " swirly" on the decays. Acoustic guitar lacked clarity and definition, and it almost had the sonic signature of having a cheap tube pre plug on it... it was colored, but not in a good way... it was muddy, lacked clarity. I can't help pointing out that this is exactly what most people today happily listen to on their iPods, etc. It should be mentioned that the sound quality attainable today is far greater than at any point in the rather short history of recorded music. A great engineer today can get mixes that the great engineers of the past could only dream of. I suspect that 99% of the best artists, producers and engineers of the pre-DAW era would gladly trade their now-beloved Pultecs for a copy of Fabfilter's EQ Pro 2. In the old days, people actually wanted to get rid of the noise, distortion, crackles and clicks that we want to emulate today. Bottom line is yes, there is a lot of bad music out there today (just like in the past - most musicians were making terrible music when the Beatles were conquering the world), but there is also a lot of truly wonderful-sounding stuff hitting the airwaves and cyberspace. I think you missed my point. Even the most pristine recordings will ultimately be compressed into downloadable files, which is how most folks listen to music these days. People don't demand great audio as they did a couple of decades ago -- they're busy, they're multi-tasking, they're distracted, they're lazy, they don't know the difference or they just don't care. I'm not saying it's not important to strive for the best possible sound -- on the contrary. I'm just pointing out the irony when it comes to today's real world. I didn't miss your point. People never 'demanded' great sound - now or two decades ago. Or 5 decades ago. There is this illusion that the recordings of the past were better, that people today are not making good music and that the public is getting garbage. It's just that: an illusion. The average 256 MP3 today sounds just as good as the LP's of 30 years ago. Not to mention that the glorified LP's of the past sounded worse with every play. There is great music being made today, music that sounds great - just like at any other time. That may be true, but I hear the artifacts that I quoted all the time -- in downloaded files, on satellite radio, on terrestrial radio. Years ago people would jump through hoops to get good sound. In the early days of the LP they'd pay more for stereo vs. mono! The so called "audiofile" spent megabucks on stereo systems. Those guys are still around but their numbers are fewer. People today pick an online music store or streaming service -- iTunes, Pandora, whatever -- but the choice is based on price, convenience, listening habits, etc. -- not sound. Good sound is pushed by a desire to create good work, not pulled by public demand, IMO. But the point of my original post is that the artifacts I quoted often occur at the point of distribution, not during the creative process and not as the result of using a non-Magix DAW. Yes, you can hear artifacts in music today, but rest assured that they are far less prominent than the hiss, clicks, pops, distortion, crackle, skipping and general noise of the now-glorified LP's. Look at the whole picture: for many years, the average person listened to music in terrible-sounding little radios. The great artists of the past were recording in less-than-optimal conditions, their recordings released in products that began to sound worse with every play and their music being played in bad stereo (or mono) systems. The fight against noise was a real issue back then (and until rather recently). Dolby, metal tape, special tape formulas for cassettes, etc., were the result of that fight against the high noise floor. Today, all equipment is much better: the despised MP3 files on an I-Pod with a $10 SkullCandy pair of headphones is a far better listening experience that what the average person could get until as recently as the late seventies, late eighties. (Audiophiles existed then, as they exist today, but they are the exception, not the rule). You would be surprised (shocked, really) if you were to sit down *today* in your recording room to listen to an LP straight form a turntable. The sound is distorted, brittle and generally not very pleasant. We accepted it and liked it because that's all we had, not because it was good. I don't know about others, but i love the sound of a lot of music today, especially the incredible clarity, sheen and air in good recordings. Yes, there is a lot of crap (mostly due to the fact that almost anyone can record a song for peanuts these days) as you rightfully say. But if we compare the best of today with the best of the past, there is no competition: we are living in great times. when I was young, I had a LP collection, and they were listened only one time, the first time to copy them on cassette ! I still have a collection (only live LP now, about 600), and don't put them on the turntable for so long, although I have a pretty good Luxman PD300 with a SME arm. The fact that everybody is recording from bedroom upwards is good for MI manufacturers, and for no one else. The downsides prevail. The lack of a working music industry (publishers) makes it hard to reach out for everybody, unless he is already established. For consumers it equally hard to find good music among the piles of cheap garbage. As a musician, I'm more than happy that equipment is so cheap to obtain. I grew up with 4-track cassette recorders as the only thing the band could afford to record on. We even didn't have enough mics, so I dissected old radio recorders for their electret mics and taped these to the drum kit and the guitar cabs. When we booked a studio (guessed it: to make 'demo tapes' for clubs to book us...) , I had to gather my last pocket money (40 Deutschmarks or so) to overdub my bass tracks for one (!) hour there. And finally we had to collect again for the guy to do a mixdown, on Tascam's MSR16 and a M-3500 desk, which was nothing to argue about at that time. Results were embarassing, of course, given today's standards. No, I definitely don't want these days back. Were we more talented then, having those technological barriers in front of us? Certainly not. Did those barriers stop the lamers (or the people we hated) from trying to make music? Not a bit. I love recording at home, I'm perfectly fine with that. Of course I'm not that fine with the fact that the guys and me have less opportunities to play live, as clubs vanish or show little interest in getting unknown bands up-stage. But that's a complete different issue, connected to other cultural and social aspects, let alone public or local finances. I have spent most of my time in rehearsal studios we got from the municipality, recording on rented homerecording grade equipment that was rented between the age of 15 and 21. (Portastudios, Shure dynamic mics, the one and other AKG cheapo). Just that you know where my "arrogance" is from. Unless you are a pure hobbyist, the money for your equipment is an investment. We spent the money they paid us for small gigs, and pocket money on that. Results depended mostly on the acoustics of the rehearsal room and our playing. We got new gigs from the demos we made. That was, in a way, business. On the side, we learned a lot from that. Now, I have some decent professional equipment myself, and I see a lot of other recording engineers invest money in equipment of all grades. It's just not worth it if you look at the ROI. And that is why? IMO, publishers nowadays can get away with low or no investment into production services. The money either goes into marketing, or to other places. The offerings to the consumers are rather worse. I agree that Pharell's "Happy" (mentioned above) is not extraordinary in any way. That's why I don't buy it. I am not alone with that. Producing the extraordinary should again become the scope. Publishers still make money on the old glorious heros: Michael Jackson, Led Zeppelin, Herbert von Karajan are still selling. That's not exactly making it easier for new artists. I agree that Pharell's "Happy" (mentioned above) is not extraordinary in any way. That's why I don't buy it. I am not alone with that. It might be an all-too-simple pop song, even mediocre in terms of writing and production. But it managed to really touch a lot of people all around the globe, made them dance and - in the purest sense of the song - feel happy. Making people feel great through one's music is - in my view - the biggest reward as a musician, and outshines everything else. Therefore, in this case, mission accomplished. Yes, you can hear artifacts in music today, but rest assured that they are far less prominent than the hiss, clicks, pops, distortion, crackle, skipping and general noise of the now-glorified LP's. Look at the whole picture: for many years, the average person listened to music in terrible-sounding little radios. The great artists of the past were recording in less-than-optimal conditions, their recordings released in products that began to sound worse with every play and their music being played in bad stereo (or mono) systems. Again, this misses the point. I didn't say music sounded better back then. The difference, I believe, is that the artifacts of the past (clicks, hiss, etc.) were easily recognizable. People were aware of them and people simply lived with them. Today's listeners aren't even aware that the music they're listening to has no dynamic range, for example, nor do they care. Squirrely sounding compressed files are the norm today and people think they sound great. I wasn't making a deep scientific statement ... just pointing out an irony. No matter how pristine a recording may be at the start, the quality is generally reduced to the lowest common denominator at the point of distribution. It was true in the old days and it's true now. Don't be naive. It's not about making people happy. This is about a product that sells: Toilet paper, beer, cars, pop songs. Only that the exploitation rights for a mediocre song end 70 years after the author's death. In practise, mediocre music has a market life of less than 2 years, and margins are small. That's why it has to be produced cheap and fast. ....Now, I have some decent professional equipment myself, and I see a lot of other recording engineers invest money in equipment of all grades. It's just not worth it if you look at the ROI. And that is why?IMO, publishers nowadays can get away with low or no investment into production services. The money either goes into marketing, or to other places. The offerings to the consumers are rather worse. I agree that Pharell's "Happy" (mentioned above) is not extraordinary in any way. That's why I don't buy it. I am not alone with that. Producing the extraordinary should again become the scope. The fact that YOU have invested money on equipment without seeing a profit only means you are part of the crowd of mediocre/untalented nobodies you despise. There is a lot of people making music and making money from music - their efforts and talents are rewarded. Then there is the rest. As simple as that. Blaming technology for your own situation is absurd. Pretending that the music you don't like is bad (based on what, your taste?) is arrogant at best and totally insane at worst. There is a lot of great music being made today - just go ask any young or unbiased observer. The reason artists today don't seem as good as those in the past, is not related to talent: Janis Joplin was not any more talented than Amy Winhouse. The reason is quite simple: music is entertainment, not a basic need. And nowadays, people have a whole lot of entertainment options, as opposed to 50 or even 25 years ago, when all we could do was listen to the radio. Music - for better or worse - is losing the battle to stay relevant, it's going into the background. People find music accompanied by video far more interesting than music alone. And rightfully so. Get on with the times...there is nothing wrong with today's artists or music scene. Music still has a place in our lives, only on a less important or prominent role. It is good for everyone that musicians of all calibers (from the worst to the most talented) have access to this wonderful technology. About making money from music: There is an awful lot of people making money from music. There is fantastic music, specifically here in Vienna, every day in our concert halls. There is just close to nobody (artists) making any money from recording and selling those. "Democratic" production means haven't helped artists in that respect. You don't need to share your problems. You only need to be more intelligent and fair when expressing your views in a public forum. People have a right to call your bluff, to expose your nonsense. Stop hating the "nobodies", because you are one of them...lol...what makes you believe you are better than any of the people making those "democratic productions"???? You are a nobody, just like them. Accept it. You are not doing well. Accept it. Don't blame others for your "professional" frustrations. I still like this forum better than GearSlutz. I like how you gentlemen so congenially agree to disagree. I also enjoy how far this thread is hijacked from Reaper and Samplitude. Keep up the good work. I love the focus (on each other).